The Law Offices of John M Alton Co, LPA has nearly 25 years of legal experience helping people. I will bring that experience to bear on your malpractice case. My knowledge and expertise makes me qualified to advocate for you. I am an aggressive and effective attorney who will protect your rights. 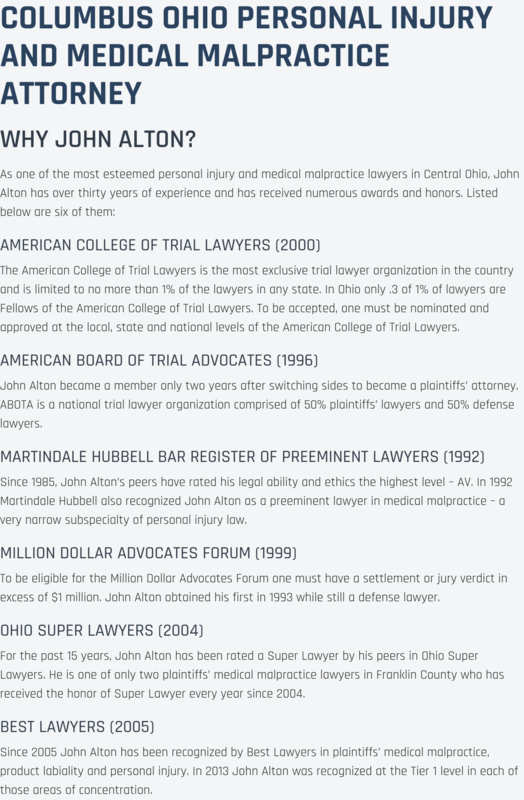 If you have had any serious issues in Dayton, or the surrounding areas due to a personal injury accident and need representation by a diligent lawyer, The Law Offices of John M Alton Co, LPA. is here to help you. I will not stop fighting for your rights. 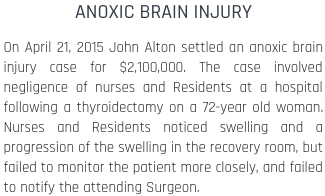 In the unfortunate event that you are hurt in a malpractice accident, or someone close to you is injured or killed, it is important to call on a dependable, local lawyer and firm like The Law Offices of John M Alton Co, LPA for help. Medical expenses, wage losses and other financial issues are certain to follow after a malpractice accident happens to you. I am here to assist you in Dayton and the surrounding areas today. Dealing with a malpractice matter and need professional legal counsel? I can help you in Dayton. My experience with malpractice cases has been to be as precise, detailed and accurate as possible to best help you. I know how to deal with your case. I walk my clients through the process and have a record of successfully recovering the maximum just compensation capable for my clients. Allow me the opportunity to assist your malpractice matter with the legal guidance that will show results. 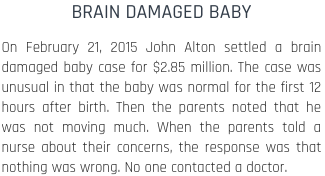 If you or a loved one need legal representation for a malpractice case, then do not hesitate, and contact The Law Offices of John M Alton Co, LPA; you will be glad you did. If you or a loved one are in need of excellent legal representation within the Dayton area then please contact us today at (614) 221-6751.